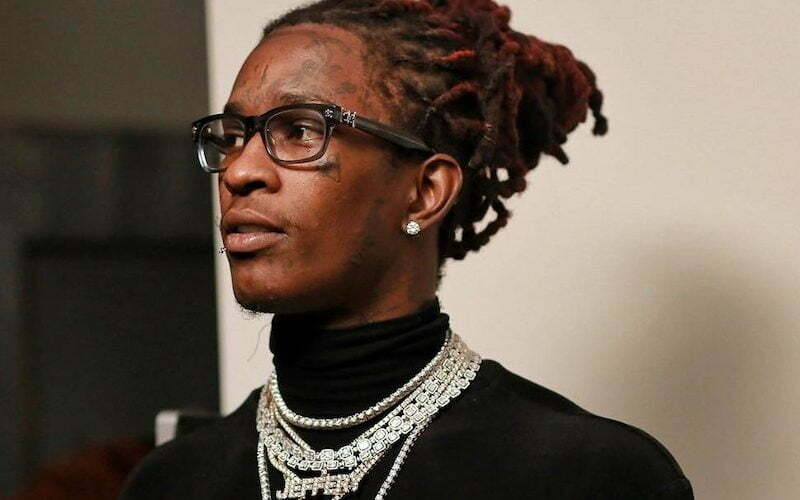 Young Thug is begging his fiance Jerrika Karlae on the Gram to take him back. Thugger seems like he is having some regrets about cheating on his fiance Jerrika who dumped him for allegedly having an affair with several women including an upcoming female rapper name Amy Luciani. The Atlanta rapper never denied the cheating allegations and at least one of the females have been blasting Jerrika on social media in a heated back-and-forth this week. “Bae give me a chance I promise I won’t mess up no more,” Young Thug said. “Everybody tell her to give me one chance, tell her to give me one more chance and I promise I won’t mess up ever again. Thugger also said that it wasn’t his fault why he cheated and a lot of people used his phone. “It wasn’t even my fault man like six ni*** be using that phone man and all that stuff man,” he added. Jerrika Karlae has revealed on Instagram that she is single after exposing some of the women that Young Thug allegedly cheated on her with. “The race is to the one that endures to the end #single,” she wrote. This is not the first time that the pair has broken up over allegations of infidelity. They have been engaged since last year and there are no words yet on when they were set to get married. Jerrika posted a photo of herself yesterday still wearing her engagement ring despite revealing that she is a single woman. Young Thug was arrested in Atlanta last month for drugs and guns and is facing possible felony charges. Cops say they pulled over the rapper in Brookhaven, Georgia for having window tints that were too dark. The police report revealed that cops smell marijuana in the vehicle and conducted a search where they found a small quantity of the drug in the car. Cops also recovered two handguns, but Thug was traveling with two other men at the time.